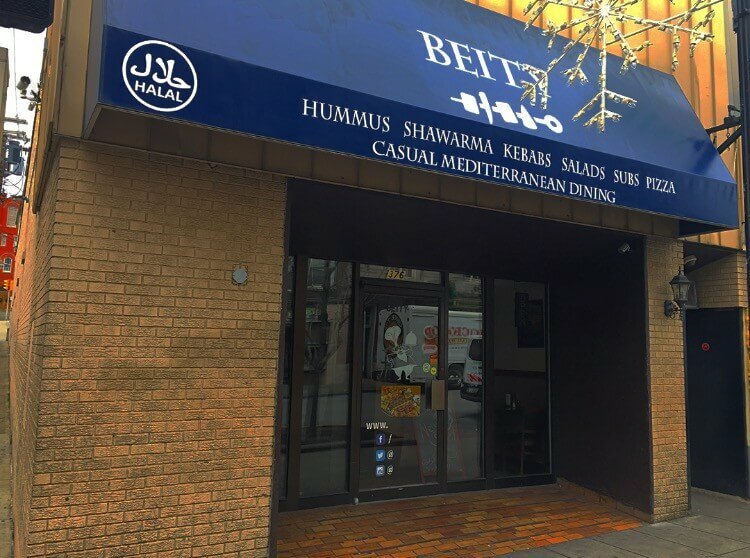 Beity is an Arabic word that means “my home.” Our goal is to make our beloved customers feel home while they enjoy our food. Beity is a family owned and operated establishment. Therefore, our restaurant is run by hard work and dedication to ensure that every customer feels right at home and returns again as part of our family. We serve a variety of Mediterranean platters that are high quality and rich in flavor. Our fresh meats are 100% halal and are grilled for a healthy, delicious experience. Additionally, you can enjoy some of our vegetarian recipes such as grape leaves, falafel, hummus, and more. We use different types of Middle Eastern seasonings that create a flavorful taste to our meals. We also offer a special daily meal that provides a different experience each day!